LAS VEGAS, NV--(Marketwire - January 5, 2011) - (2011 CES) -- This year's CES (Consumer Electronics Show) in Las Vegas is expected to bring an estimated 120,000 gadget-loving gurus and groupies to Las Vegas January 6 - 9. That's a lot of mouths to feed, and those who attend are likely to build a healthy appetite as they explore the dizzying array of technology on display. 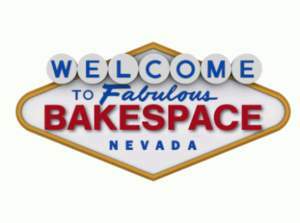 That's why BakeSpace.com, the Webby-nominated food social network and recipe swap, has released its second annual "CES Sin City Foodie Survival Guide." The easy-to-read Las Vegas food guide for CES is available online at http://bakespace.com/news/2011/01/food-in-vegas/ and is packed with specific tips on where to go and what to order. Categories include: breakfast, lunch, dinner, vegetarian options, drinks, happy hour, "old school," late night, treats and off-The-Strip. There's also a link to an abridged pocket version of the guide that can be printed for quick offline reference. In true BakeSpace style, the 2011 CES food guide was crowdsourced from a variety of sources, including BakeSpace.com and its extended network of culinary enthusiasts across Facebook, Twitter and other social networking sites. The Las Vegas food blogger community also weighed in heavily, and several suggestions resulted from food tasting events produced by BakeSpace during its recent TECHmunch Food Blogger Conference in Las Vegas at BlogWorld 2010. "This year's foodie guide will make your trip to CES a lot more sweet and satisfying," declared BakeSpace.com Founder Babette Pepaj (@BakeSpace). "Las Vegas is a destination for culinary enthusiasts, and our guide is packed with great suggestions whatever your mood, appetite or budget." Use Twitter Hashtag #CESFood to contribute and follow the CES food discussion. The online Guide includes a list of Twitter handles for many Las Vegas hotels, restaurants and bars. The International CES (Consumer Electronics Show) is the world's largest consumer technology tradeshow. The 2011 CES will be held January 6 - 9 in Las Vegas to showcase and discuss the innovative products and technologies shaping consumer technology. More information is available at www.cesweb.org. BakeSpace.com is a grassroots, Webby-nominated online community for people who love to cook, bake and hang out in the kitchen. Members can post, search and swap recipes, share cooking tips and express their passion with other food enthusiasts from around the world. They range from teenagers just starting to explore the culinary lifestyle to great-grandparents who want to share and catalogue their treasured family recipes. The site earned back-to-back Webby Award nominations in 2009 and 2010 in the ultra-competitive Best Social Network category, and Webby Award honors in 2007 and 2008. The site includes more than 50,000 member-submitted recipes, and it's as easy to use as making toast. More information is available at www.BakeSpace.com. BakeSpace.com's 2011 CES Foodie Survival Guide is packed with specific tips on where to go and what to order while you're in Las Vegas.